There are few things more frustrating than staring at loading screens and progress bars. In the modern age of gaming however, it’s an inevitability. Discs have to be read, hard drives have to load, and files need to be downloaded. Combine this with a lengthy setup process, account verification, game installations, and everything else, it all adds up to a whole lot of waiting. That fate is no different for the soon-to-be-released PS4 Pro. If you’re getting a new PS4 Pro as your first foray into the PS4 ecosystem, then congrats! Your setup process is fresh and painless. Sign up for or log into your PSN account (you should definitely get PlayStation Plus if you don’t have it already) and enjoy the bountiful world of PlayStation. But what if you already have a PlayStation 4 and you’re buying the PS4 Pro as a marginal mid-generation upgrade? With over 40 million PS4s sold so far, that likely applies to a lot of people. Thankfully, Sony has made it relatively painless to transfer all of your data to the your new, beefier, console. But before you start the process, you need to make sure you have everything in order. Otherwise, you’ll hit errors or it won’t go through properly. First of all, ensure that both of your PS4s are plugged in. Sounds obvious, but it’s important. They both must also be on the most recent firmware version, so just to be safe, check for updates from the settings menus. If you use multiple users and accounts on your PS4, then you’ll have to go in and sync the trophies for each account (Settings>Trophies) and also sign into PSN to link everything together. Connect your PS4 and PS4 Pro to the same WiFi network, then connect them together using an ethernet cable. That’s really about it. During the initial setup phase of your PS4 Pro, you should have been prompted to start this process assuming you prepared everything correctly, but if not, you can access it from the Settings menu. Luckily, this transfer process is simple and painless. 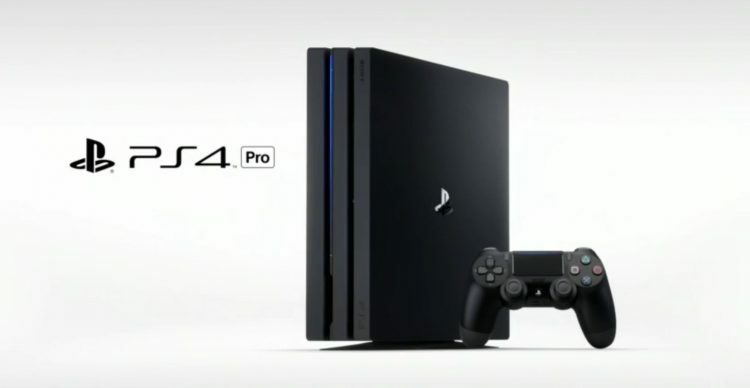 Now, the PS4 will transfer all of your saved data, captures like screenshots and videos, trophies if they’re synced, console settings, and even your game installations, to your shiny new PS4 Pro. Since the standard hard drive space is double the standard space of the original PS4 (500GB -> 1TB) there is a lot more space, but only a little over 800GB is actually usable. Since the PS4 Pro still doesn’t allow the use of external hard drives, you’d have to upgrade it manually if you so desired. One thing of note, however, is that it does take some time. Transferring just around 280GB of data from my original PS4 to the PS4 Pro took a little over an hour. Plan accordingly. Do you have any other questions about the PS4 Pro? Make sure to read our review of the console and how it measures up for use with the PS VR headset.